When I got the big news that two were on the way, I didn’t have a clue what I was up against. I had already had two singletons, but twins were a whole new ballgame. It was time to research. I started to look into which twin books I should read, but I was instantly overwhelmed by all of the choices out there… so I ordered a bunch. Although every twin specific parenting book I read had some great insight, two stood out to me as major game-changers. 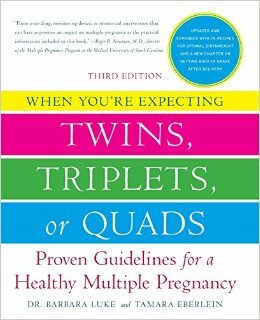 When You’re Expecting Twins, Triplets or Quads: I swear this book helped me go full term with our twins. Full of tips on how to make it as far as you can with a multiples pregnancy, (hint: eat steak and become very friendly with your sofa), this is the multiples pregnancy bible. 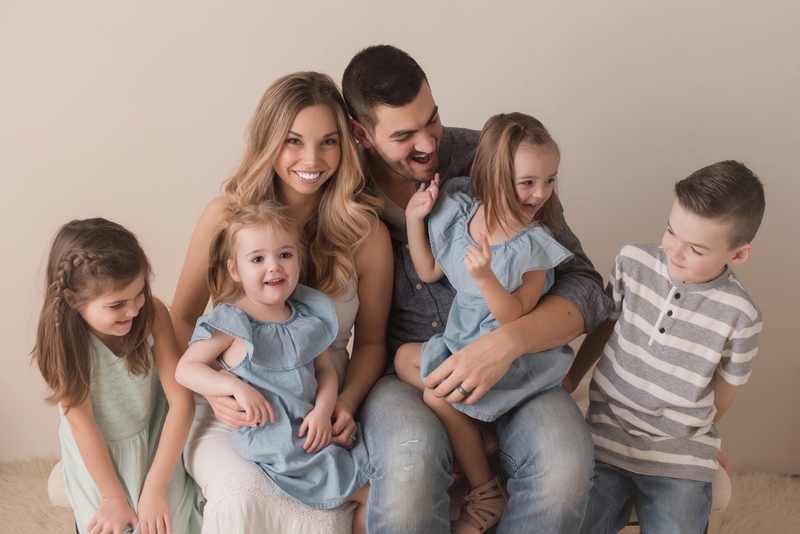 Although there are factors that are out of our hands when it comes to going full term with multiples, Dr. Barbara Luke gives you great insight into what warning signs to look for in case there is a problem brewing. It was so refreshing to read a pregnancy book that was completely devoted to a multiples pregnancy. Healthy Sleep Habits, Happy Twins: When it comes to bedtime routines and my sleep, I am a bit type A. I shock people all of the time when I tell them that I have always got a good amount with sleep with our twins. Of course I have to still get up with them during the night here and there, but this book helps you through the many sleep phases babies inevitably go through and identifies problems that may occur… x 2 babies. 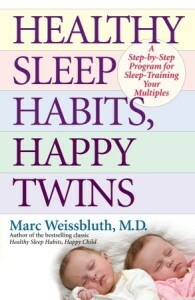 The best part about Healthy Sleep Habits, Happy Twins? 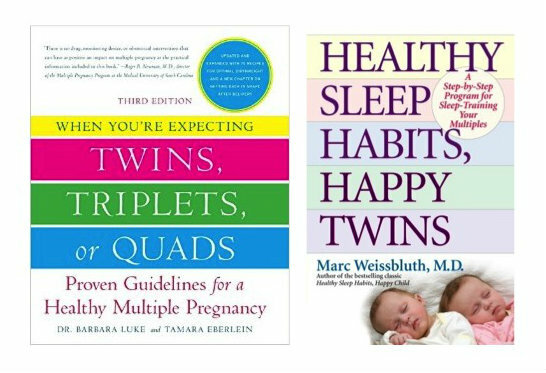 The author, Dr. Marc Weissbluth, never makes you feel like you are failing or that your babies have to conform to this very specific and strict schedule, unlike another sleep training book I read with my first… urgh! This book will become a great resource for you fast! Don’t forget to Like Nesting Story on Facebook, and follow Nesting Story on Instagram, Twitter and Pinterest to find out what twin-specific books I found helpful with day-to-day logistical questions I had.